Q. What is Garcinia Mangostana Xanthone? Garcinia Mangostana Xanthone is an ultra tropical fruit found in Southeast Asia. One place of which is in Mindanao, in the southern part of the Philippines. The fruit has the size and shape of a tennis ball with flowering leaves at its beak. Its flesh is protected by a hard purple pericarp which when opened reveal a white pulpy flesh that is exotically sweet-tasting. The brownish-purple rind has its own medicinal value when boiled with water for half an hour, traditionally taken for relief of diarrhea. During the 70’s serious researches were conducted on its beneficial effects. Now, it is widely taken as a general panacea not only by Southeast Asians but also by people from all over the world who have come to know about its curative supremacy. Q. What is MX3 and where does it come from? MX3 is the brand of nutritional supplement in the market today – the Original and all NATURAL product of DMI. Its active ingredient is called Xanthone, a phytonutrient derived from the Mangosteen fruit scientifically known as Garcinia Mangostana, widely popular in Southern Philippines. Q. What is MX3 for? MX3, because of its high Xanthone content has been a blessing for many people’s health challenges nationwide. Xanthone has been researched by scientists from different countries and has been found to help achieve optimum wellness and fitness. Q. Why is it called MX3? 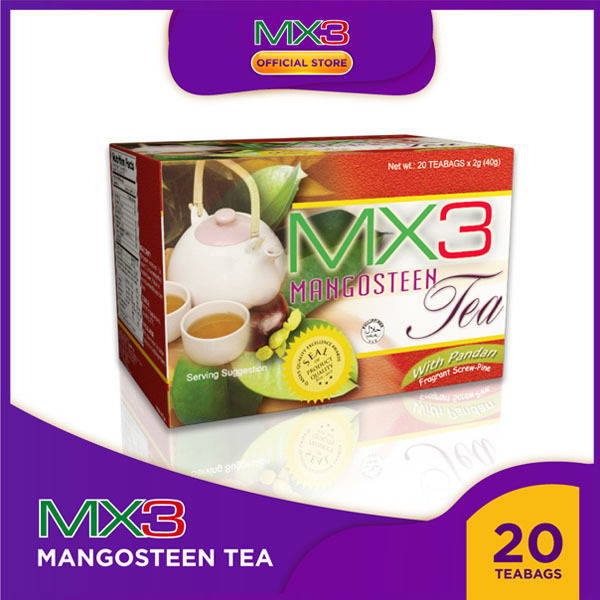 MX3 stands for Mangostana Xanthone. The number 3 stands for Alpha, Beta, and Gamma- the three powerful antioxidants from G. Mangostana. Q. Is MX3 a drug? MX3 is not a drug. MX3 is registered with the FDA as a Food Supplement. Q. Where is MX3 manufactured? 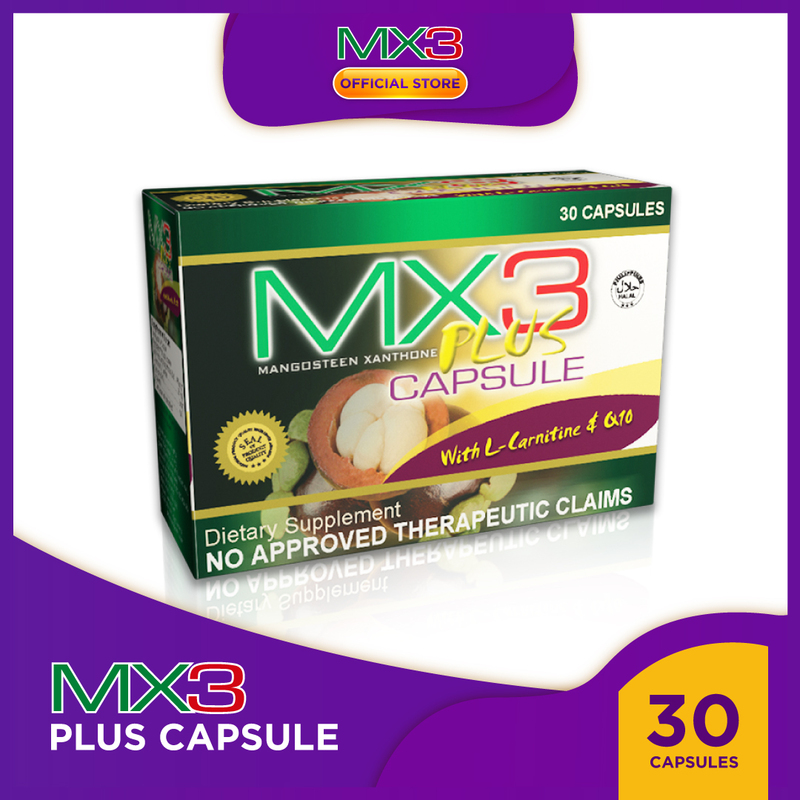 MX3 is manufactured for DMI by our partner in health, NorthField Laboratories, in Malolos Bulacan. The company has been rewarded as a Certified ISO Laboratory and observed Good Manufacturing Practices. Q. 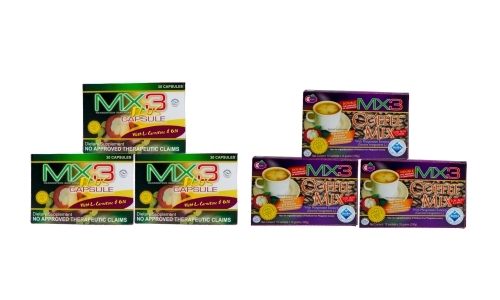 How different is MX3 to the other food supplements? MX3 is a breakthrough product with Xanthone as a new ingredient to achieving good health – using natural products in the prevention of many illnesses. Presently there is no equivalent in the market carrying the same potency and benefits of Xanthone in their health product. Q. In which part of the Mangosteen (Garcinia Mangostana) MX3 product is made of? Xanthone is highly concentrated in the pericarp of the fruit mangosteen, but can also be extracted from the leaves and fruits. Q. Can we boil the pericarp of Mangosteen? Why do we still need MX3? It is common knowledge that high temperature like boiling destroys most of the nutrients of plants, hence it is not recommended. There is a patented and scientific way of extracting the Xanthone from mangosteen without damaging its potency and efficacy. Q. Why do I still need to take MX3 if I feel perfectly healthy? MX3 because of its high Xanthone content has been found to benefit those who are seeking optimal wellness. It can be taken regularly even by those without health concerns. Research has shown it to be good in preventing many ailments in the body by building the immune system, both in children and adults. Q. What is the dosage of MX3? MX3 capsule and MX3 Plus is best taken before or between meals to get the most from it without mixing it with our regular food. MX3 tea and coffeemix can be taken as a beverage anytime. Q. Does MX3 have overdosage? 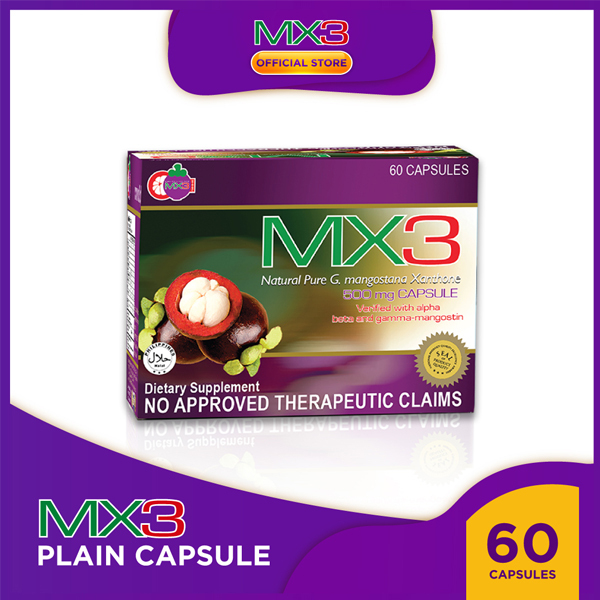 MX3 has no over dosage because it is a natural food supplement, it has no side effects and no adverse reaction. Q. How many days or months should I continually use MX3 to experience the results? Our body make up, genetics and constitution is different from others. As there is no one exactly alike, results may vary. However, our satisfied clients have reported good results in as little as 1 week to 1 month time, depending on their condition. The secret of maximizing MX3’s health benefit is to continue taking it even when desired results has already been achieved. Q. Why do we need to take MX3 before meals? 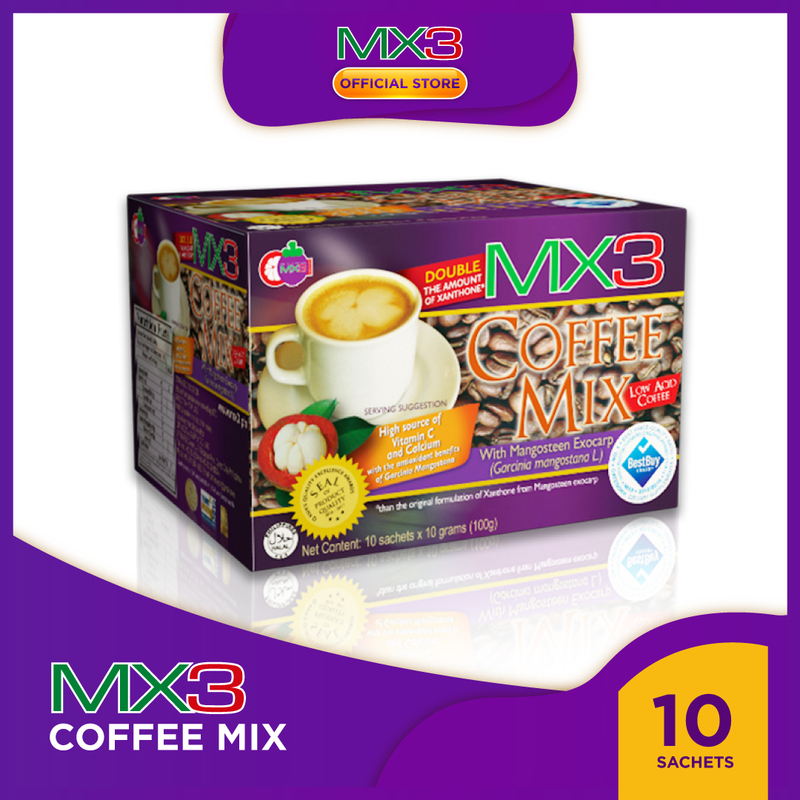 As with most nutritional products, MX3 works best when it is not mixed with other food which may hinder its complete digestion and absorption. Q. Can pregnant women take MX3? As most doctors would agree, it is best to give any health product to expecting mothers after the 1st trimester (1st 3 months) of pregnancy. This is to ensure that the growing fetus inside the womb is mature enough to benefit from the highly nutritious content of MX3. Q. Can children take MX3? Children 12 years old and above can take MX3 Capsule provided that the child can swallow the capsule. Children below 12 years old can take instead MX3 Tea and mix it with lemon and honey to their desired taste. One must always remember that there is no danger with the intake of MX3 because it is basically a fruit extract. Q. Can nursing mothers take MX3? The Xanthone content of MX3 has been found to improve milk production in nursing mothers. Likewise the infant also benefits from the nutrition provided by Garcinia mangostana. Q. Why is an MX3 teabag expensive? Price is always relative. One can not put a price on optimal health for the whole family. One must realize that 1 (one) teabag is enough for 1 (one) liter health drink which is much cheaper than drinking colas or unhealthy beverages.